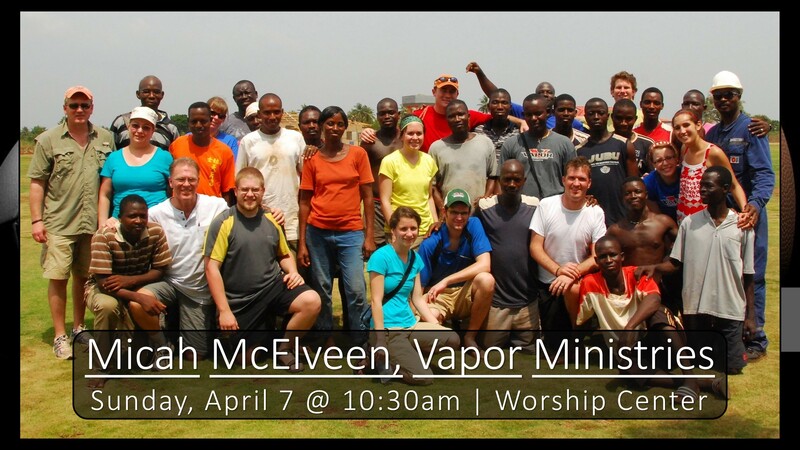 From the Vapor Ministries Website: “God has brought together a unique blend of seasoned business professionals, disciple makers, organizational whizzes, professional athletes and everything in between for a shared pursuit of accomplishing Vapor’s mission. We are incredibly grateful for the folks who have committed to using their time, talent, treasure and influence to advance the cause.” OUR MISSION: We establish sustainable centers for alleviating poverty and multiplying disciples in third-world environments. Consumed with the idea of spending, not wasting, his life, Micah sought to develop a more intimate relationship with Jesus Christ and a better understanding of what Christ calls His followers to live for. In Micah, God’s heart for the spiritually lost and the physically poor began to beat. Micah came to believe he was kept on this earth to serve the poor and advance the Gospel in ways that would glorify Christ. He began to seek practical and effective ways to live that out in everyday life.